On Saturday, October 28th, Don Hanson and Kate Dutra of the Green Acres Kennel Shop presented a seminar as a fundraiser for The Ark Animal Shelter of Cherryfield, Maine. This blog post contains links to articles and podcasts that can be used as a reference to material presented at the seminar. 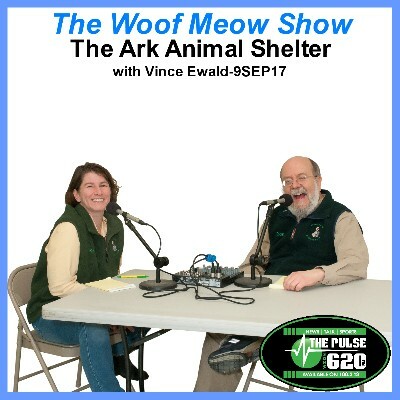 In this episode of The Woof Meow Show from September 9th, 2017, Don interviews Executive Director Vince Ewald from The Ark Animal Shelter in Cherryfield, ME. We discuss the long history of The Ark, its mission, how it accomplishes that mission, the Ark’s amazing corps of volunteers, their spay/neuter efforts and educational programs. 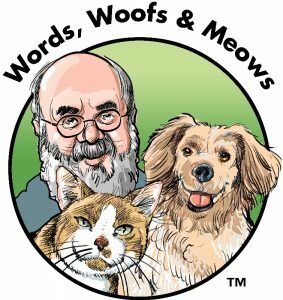 Of course, we discuss the type of pets one can find at the Ark and how you can help them find a forever home. We even talk about the debut of a children’s book, Hope for Someday, written by Vince and illustrated by the President of The Ark’s Board, Tom Leigh. It is the story of two pups who find their way into a shelter much like The Ark. If you have a child in your life, I recommend it highly! Lastly, we discuss a seminar Don and Kate will be presenting on October 28th. 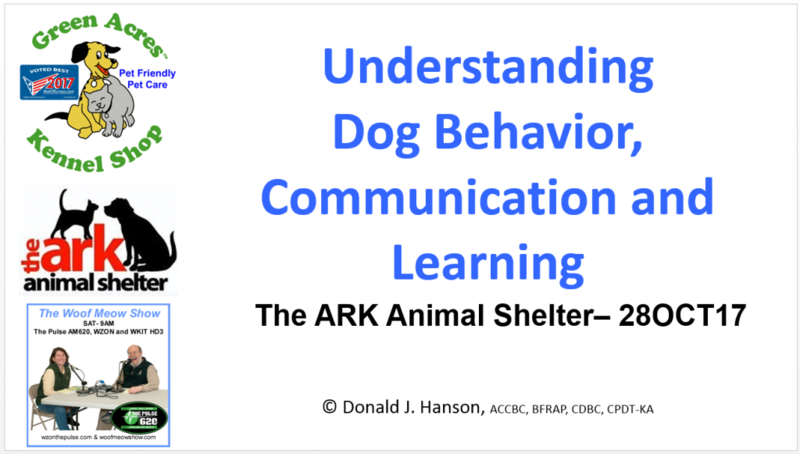 Their seminar Understanding Dog Behavior, Communication, and Learning is a fundraiser for The Ark Animal Shelter and will take place on Saturday, October 28th in the community room at Machias Savings Bank in Brewer. The cost is $50, and all proceeds will go to The Ark. 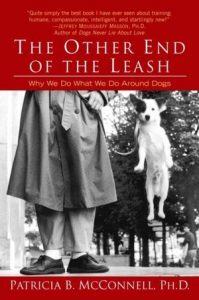 Understanding Dog Behavior, Communication, and Learning will examine the facts and myths about canine behavior and discuss how people and dogs communicate so that we have a better understanding of one another. 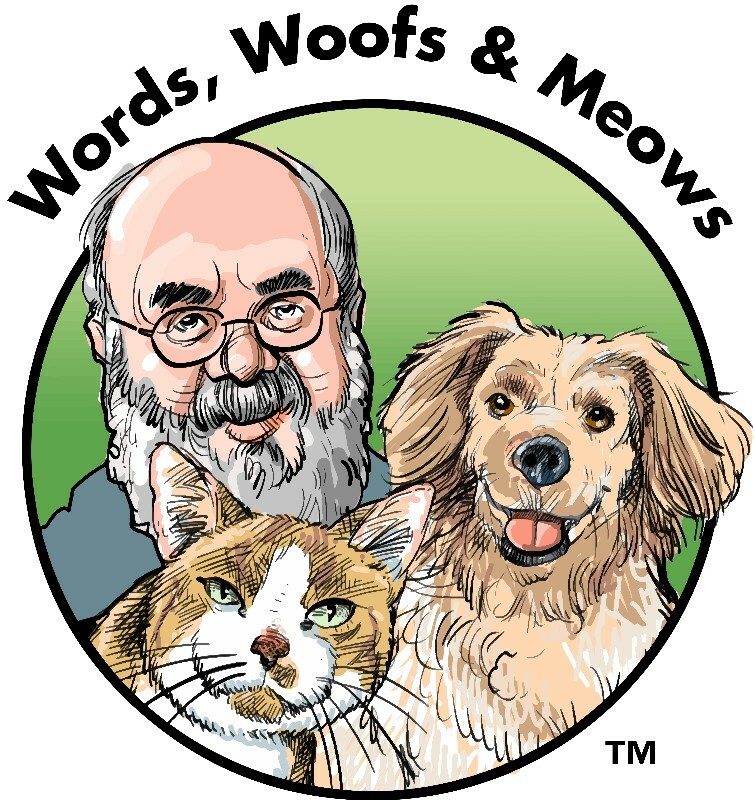 Don and Kate will also discuss how dogs learn and humane training methods. During lunch, we will show the documentary film Pet Fooled which talks about the pet food industry. After lunch, Kate and Don will be available for a 60-minute question and answer period.